53% of U.S. consumers own promotional drinkware. SuperiorPromos.com provides you with top quality promotional mugs, koozies and drinkware all at incredibly low prices. We specialize in personalized water bottle or custom koozie can coolers, the promotional products you choose are customized to your business and custom logo. Let us help you choose the perfect promotional drinkware for your business and make your promotional items giveaway a tremendous success. 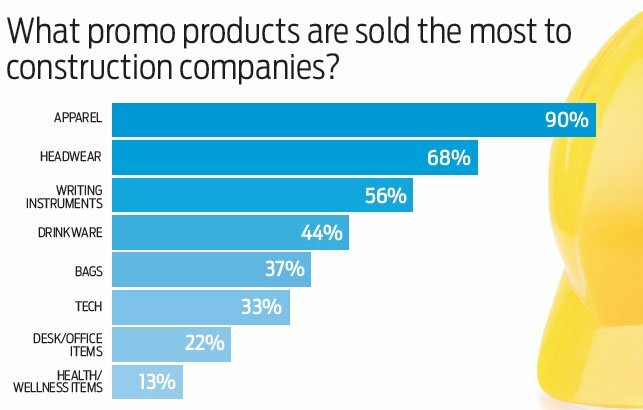 In promotional products news… fidget spinners have made Google’s Top 10 searches of 2017. Below is the article and a link to the product category on our website. After years of debate, California on Tuesday became the first state to ban single-use plastic bags at grocery and convenience stores. 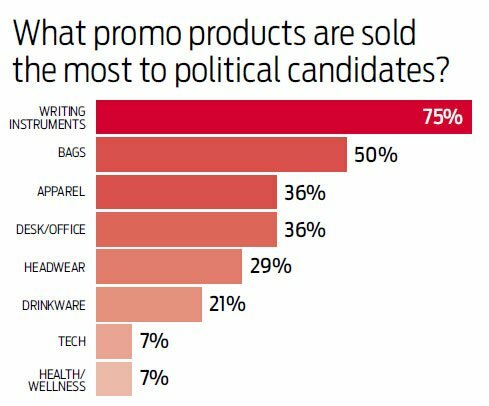 The legislation is a major win for environmental activists, but there’s also a bright side for ad specialty distributors: the opportunity to sell more reusable promotional bags. Jerry Rost of JR Resources (asi/232638) in Del Mar, CA, pointed out that reusable bags are more economical for clients wanting to get their logo and messaging out there. Say a reusable bag’s initial cost is four times higher than its plastic counterpart, the cost-per-view still ends up being much lower, even if that bag is reused only once a month for a year, he explained. “That’s a true win-win for the client and the environment,” Rost said. The California ban will take effect in July of 2015, though plastic bag makers have vowed to seek a referendum for repeal. Under the legislation, plastic bags will be phased out at large supermarkets, including Wal-Mart and Target, next summer, and convenience stores and pharmacies in 2016. The law does not apply to bags used for produce or meat, or to shopping bags at other types of retailers. Grocers will be able to charge a fee of at least 10 cents each for paper bags. The immediate impact for distributors is likely to be somewhat limited, though, especially considering the exemptions for produce and certain retailers, said Terry McGuire, senior vice president of marketing at Halo Branded Solutions (asi/356000). Still, he added, the increased media exposure on the issue is a boon for the industry, especially if it prompts smaller retailers to consider making the switch to reusable bags. Governor Jerry Brown called the ban “a step in the right direction” in his signing statement. “It reduces the torrent of plastic polluting our beaches, parks and even the vast ocean itself. We’re the first to ban these bags, and we won’t be the last,” he said. New Clearance Items and Big Price Drops on popular items for this Fall! We guarantee that you will be 100% satisfied with your purchase. We are so confident in our products and services that we want you to have a 100% worry free shopping experience. All you have to do is browse our great product line, select your promotional items, email us your design and let us do the rest. There is NO hidden fees, NO cancelation fees. Also if your product is not printed to your exact specifications we will reprint the order or work with you in every step of the way to ensure a satisfactory result. Furthermore, because we strive to reach 100% satisfaction, if you provide us with the wrong artwork or approve a wrong proof then we will happily reprint the order with a tremendous discount price. We are aware that you have options when it comes to buying promotional products. Price is one of the biggest factors that will determine your decision. Our goal at Superior Promos is to provide the lowest possible price on the web for everything we sell. However if someone has the same item for less, then we will always attempt to price match and will go a step further and beat the price. NOTE* - Price and item verification required for our price match policy. A direct link or a quote from a competitor is required. Superior Promos holds the right not to match pricing or bids from non reputable or wholesale advertized companies. NOTE* - Actual Item minimum is still required. Below minimum item amount orders are available, contact customer service for details. Here at Superior Promos we understand that deadlines are part of business and we are experts in helping you meet that deadline or a special event. If we are given an in-hand date we guarantee to deliver your product on time or your money back. We will work with you each step of the way to select the best rush option or proper expedited delivery method in order to deliver the products in time for your event. NO Setup Charges for Exact Re-Orders Ever! When we say free art services, we mean it! There are no catches or tricks; all art preparation is absolutely free. If you are not sure what you would like to print, or need modification to your current design we will be happy to do it for you. Imprinting the right design results in a beautiful product and makes our customers happy. If your artwork requires special attention or it is a more detailed design, all we ask is that you give us extra time to redraw or redesign your logo. We will not stop until you are completely satisfied with your imprint. We offer unlimited FREE revisions and FREE digital proofs. Nothing gets imprinted until you approve your artwork. We provide worry free shopping from start to finish. NOTE* - Setup charges for each item if applicable still apply. A setup charge is used to create a physical screen(s) to print your design. We take great pride in providing the best products on the market. If you are not fully satisfied with the product, we will look into the issue and work hard to find a product to your liking of better quality. Our quality control process insures that every product we sell has been specifically chosen by our product specialists for its durability, quality and effectiveness for a promotional campaign. Whether you are giving us a call, using our Live Chat or simply sending an email to request information, you will always experience prompt professional service; Guaranteed. Many companies provide service with no enthusiasm and are simply not willing to go the extra mile to assist you with your needs. Our customer service approach is above and beyond the ordinary. We provide knowledgeable and extremely friendly service. We believe that service with a smile can extend over the phone or online. If you experience service that doesn’t meet your expectations please do not hesitate to drop us an email or ask for a manager. We strive for 100% customer satisfaction and if the customer service representative does not meet our standards of excellence we will make sure it will never happen again. We are in the business to help your business and we know that many companies offer low prices on their product but later surprise their customers with elevated shipping costs. To us that approach is bad business. We strive to deliver the best products and the lowest rates with true shipping costs. You pay the exact UPS or FedEx rates. You may even use your own shipping accounts for all your shipments. However in some instances a minimal handling fee of $5 will apply for the entire shipment. Heavier items like ceramic mugs might have extra minimal packaging fees per box. We will not surprise you with shipping costs. Please feel free to contact customer service prior to placing your order for an estimated shipping quote. Please note if a close in-hand date must be met then expedited shipping may be used, in which case we will present all cost and options for you before the products ships out.